Janine Richards had been the first to see the body, arriving an hour early to train for that Friday’s track meet. Through the indigo rays of morning, she had expected peace and quiet but instead had been gifted with the body of the football team’s quarterback hanging from the centre bar of the goal post. The police had arrived after her frantic call and all the yellow tape in the world couldn’t stop the student body from stopping to share in the horror, the grief that had blanketed DJ High. Riley fought his way through the crowd and stopped only when Logan’s body, still hanging one hour after its discovery, swung lazily on a gentle autumn breeze. His stomach lurched and his eyes prickled, yet he couldn’t peel them away. What, only one day previously, had been a generally happy, albeit momentarily pissed, Logan Greenway was now reduced to a bloating blue-black sac of meat swaying from the goal that Riley himself had scored over several times at practice the night before. The soccer net around his neck had bitten bloodily into his neck, which was pitched at an awkward angle and coated with what looked like thick black paint under the gentle rays of morning sun. Riley fought the urge to run, closed his throat against the violent clench in his stomach that had only occurred before when he was sick, and turned from the body that was once his teammate. Logan had not been suicidal, that much was the truth. He had been distracted, pissed at Coach for his harsh behavior, but Logan Greenway had been the boy who had it all. Nothing about his life had held a suggestion that things weren’t going exactly the way he wanted. Riley thought to his own home life, to the secret of his father’s sudden departure that lingered on the tip of his tongue ready to be spilled. Everyone has a secret, he thought, playing nervously with the straps of his rucksack. But what was Logan’s? It didn’t matter anymore. Logan Greenway was dead. And school was out for the day. 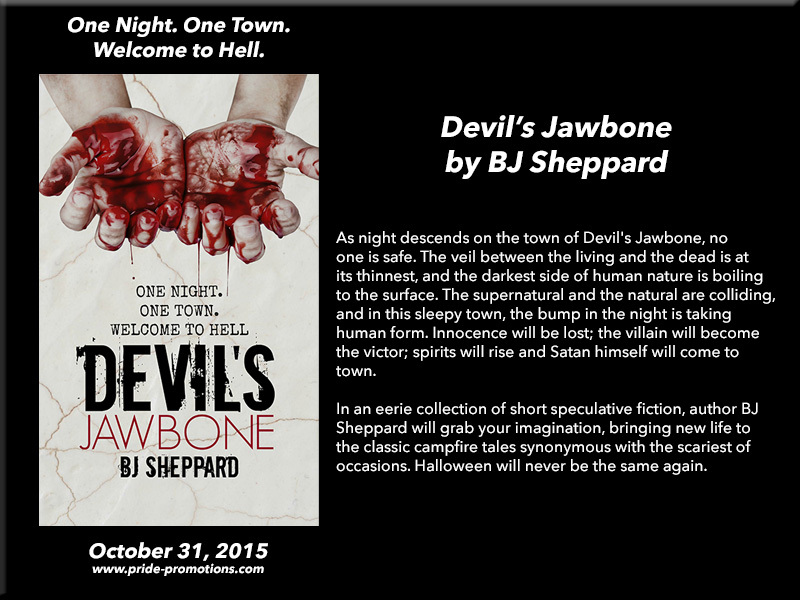 My name is BJ Sheppard and all at once I found myself an author. Such a strange sensation to actually feel you deserve the thing you had aspired to for many years. After all, all it took was computer access and an inner world that reads like a Sheryl Crow song to pound the keys and translate my crazy ideas onto the page. I feel like I could have business cards printed. Maybe wear a black roll neck and perch my glasses on the tip of my nose. I could drink whisky and smoke a cigar and do all those really stereotypical things I imagine all writers do. Perhaps I could get laid a little more? This is not the end. Nor the beginning. Hell, it isn’t even about me. My boys write themselves; I really don’t have that much say in the matter. As long as my characters need a voice, I have two chubby typing fingers and a need to please— watch this space: there is more to come. 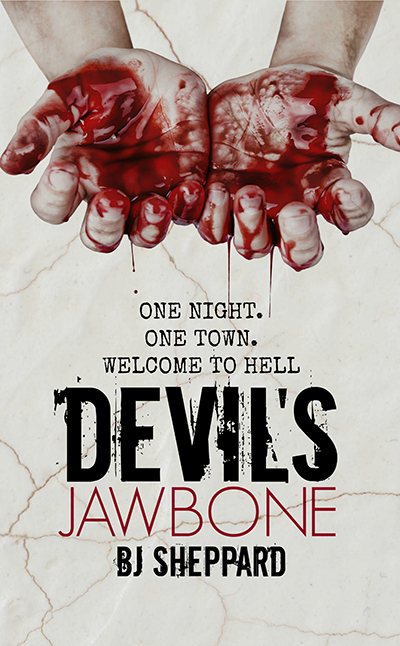 This entry was posted in For Your Reading Pleasure and tagged Gay Fiction, horror, Pride Promotions by Charley Descoteaux. Bookmark the permalink.